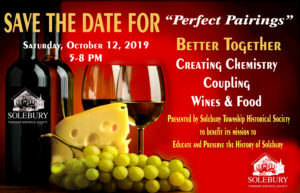 The rural village of Carversville was a Lenni–Lenape gathering place which they called Aquetong, or “many springs,” over 300 years ago when William Penn granted tracts to his steward, James Harrison, and to Joseph Pike. Harrison, who never saw the property, deeded his 500 acres to Randall Blackshaw and the Pike tract was divided into four 100-acre parcels. The village was first surveyed in 1702 after families had begun arriving on horseback. By 1730 roads had been cut into the forests so settlers could haul out wool and farm produce and bring in lumber that was being rafted down the Delaware River from Upper Pennsylvania. Originally called Indian Village, the town was later named Mill Town, later Milton and finally in 1833, Carversville. The latter name was borrowed from the postmaster whose last name was Carver. A center of commerce from its inception, Carversville boasted such diverse enterprises as Stovers Mill, the Fretz Mill, the Carver Mill, the Suggin Bag manufactory, a sash and blind mill and the famous Roram Hat factory. In 1859 the Excelsior Normal Institute was founded on the hill overlooking the Village. The five-story stone building became a well-known school which turned out scholars until it fell on hard times in the late 19th century. Until its demise, students could peer down at the thriving village served by stagecoaches from the railroads at Doylestown and nearby Bull’s Island, N.J., just three miles away. When the teaching ended, the pleasure began as the building became a resort. Its lifespan, too, was short-lived. The final use for the property was as the Carversville Christian Orphanage. The building was razed in the mid 1900s, but its legacy is intact thanks to the doting research of one of its long-term tenants, Edwin “Ned” Harrington, the Village’s official historian. The building that now houses the Carversville General Store and Post Office was once the carriage shed and stable for patrons of the adjacent Carversville Inn. The Carversville Inn was built in 1813. Originally called the Bird-In-Hand, it was built in the Federal style, with two floors and a gabled roof. A third floor and porch was added in 1859. Over the years it has served as a hotel, general store, ice cream parlor and gas station. 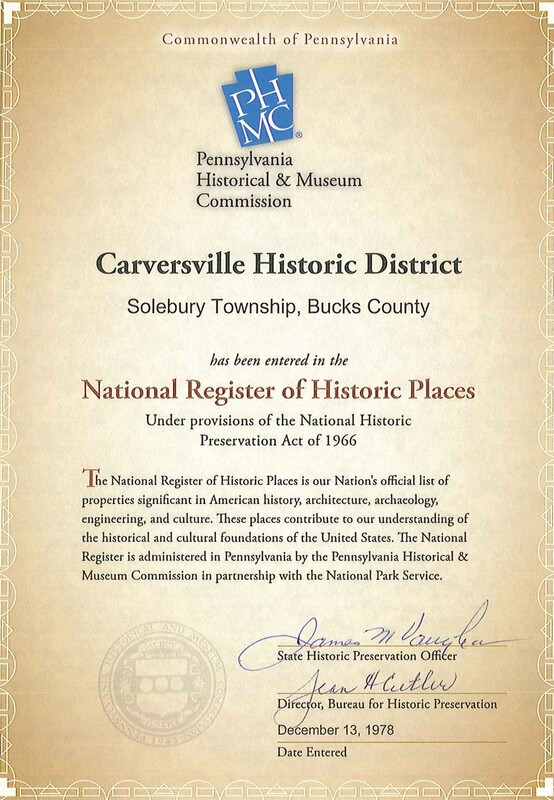 Read more about Carversville on the Historic Carversville site or on the Solebury Township site.